How does Monday feel to you? I, like many, dislike Monday. What I dislike the most is that it means back to work for my husband. I love having him around on the weekends. We go on day trips to the mountains, or hang out at the zoo after a fabulous brunch. Monday signals that snap back to reality. Having a Grateful Monday instead! I came across this blog. 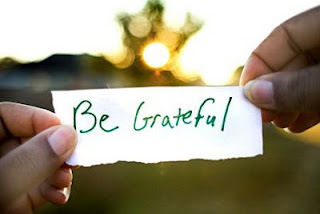 Loved the idea of stating what I am grateful for. I want to try and remember all that I am grateful for on Mondays. Cause it may make it easier to tolerate them. 3) Getting the news that I am going to be an Auntie......to a BOY! !